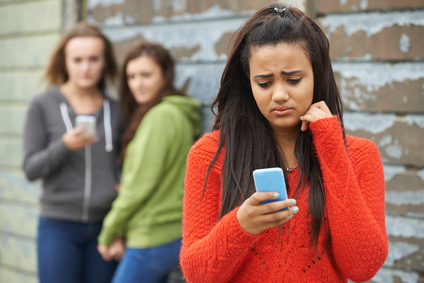 When does teenage texting become a problem? It's no news to anyone that teenagers love texting! Most of the time young people are willing to send messages whenever and wherever they want, which is not always a good idea according to their teachers and parents. Teachers experience this issue firsthand when trying to deal with all the texting during the class. However, in most cases texting doesn't just stop at school and continues even at night. Obviously, for teens it is much more exciting to exchange messages with friends, than sleep. However, parents should be aware of some problems related to their children's texting habits. Which issues may occur because of endless texting? If you ask teachers what it is like to work with modern teenagers, they will tell you that it becomes harder to get young people to focus on their education because of all the distractions that surround them. development of bad grammar habits. Although it might seem that texting is not something to worry about, it definitely has quite a significant effect on education of young people. One of the biggest issues is the so-called texting grammar, which affects both teenagers and adults alike. The wide use of abbreviations, slang, absence of proper punctuation and capital letters get in the way of teens education and development of proper language skills. Also, the autocorrect function on the cell phones makes people used to making mistakes, as they know that they will be corrected immediately. How can you deal with these issues? Obviously, prohibiting your children to text is not going to work and they will continue texting, but not in your presence. However, there is something you can do using modern technologies to control your children if they go completely overboard with texting. One of such solutions is Teentor, which is a monitoring software created specifically for cell phones. Upon installation of this effective software, you will be able to see all the texts sent and received by your teenager. What is more, you can actually lock the phone temporarily, for example, if you don't want your teenager texting all night long. If left uncontrolled, constant texting can certainly have negative effect on your child's education. Using Teentor will help you overcome all the issues early on.